Sometimes individuals will have issues with logging on to RCU online banking with Google Chrome if the browser's settings are not optimized. 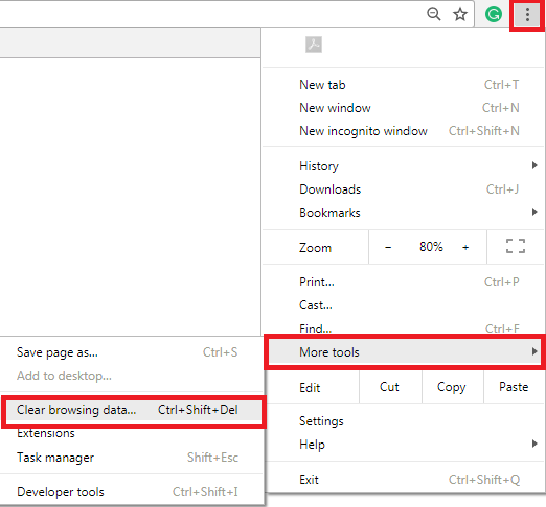 In order to best resolve this issue, you would need to clear your web history/cache, and then you will want to make sure that you are accepting third-party cookies and session cookies. 1. Go to the upper right corner of the screen, and you will see the Menu Bar , click on it to get the drop down menu. 4. In the dialog that appears, select the ALL checkboxs. 5. 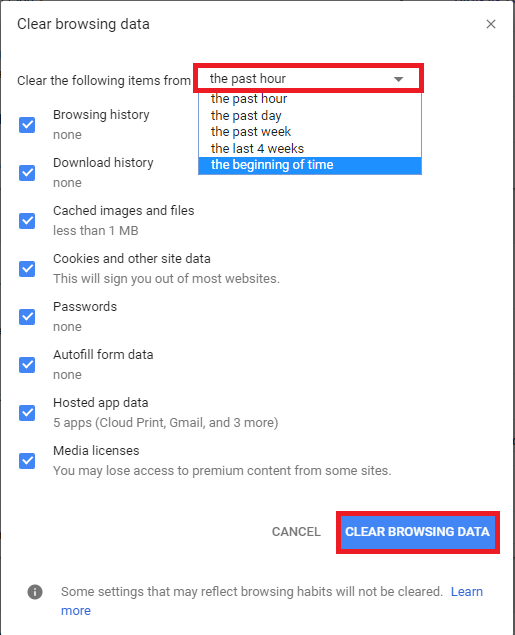 Use the menu at the top, where it says the past hour, select beginning of time to clear your entire browsing history. You should now be able to login. If you are still having issues, it may be that third-party cookies and session cookies are not being accepted. Please refer to other AskRCU articles for more details on how to resolve this issue.